After the loss of his mother, a neighborhood barber tries to rebuild his emotional well-being and life. He passes the days in his barbershop and singing love songs at home until one day he takes a trip that changes his life. Ariel returns to Buenos Aires to visit his father, Usher, and introduce his girlfriend after many years living in the United States. When Ariel arrives, Usher communicates with him by phone and turns Ariel’s visit into a series of charitable acts that help the community, reconnecting him with the Jewish traditions that once created differences in the family. He must weave his way in and out of his neighborhood meeting people from his childhood and El Once’s large Jewish community. Meanwhile, he wonders if he will ever see his father. Winner of Tribeca Film Festival Best Actor Award. Co-presented with the Sam and Helen Stahl Center for Jewish Studies. The women of many ages and backgrounds share their stories of love, humor, loss, wisdom, pain, and beauty in this beautiful and colorfully stunning documentary of the mountain village two hours from Medellín. Jericó’s vibrant landscape, culture, communal bonds and heritage are celebrated and shine on screen through the portraits of its strong, sensitive, dignified and passionate women. Based on the award-winning novel by Cuban writer Wendy Guerra, the film portrays the crises of 1980s Cuba. Nieve is a young girl torn between two parents with differing revolutionary ideals and roles, one a radio DJ and the other a playwright. The custody battle for Nieve reveals the heartbreaking complexities of her family while depicting the social and political turmoil in Cuba. Pierre lives a full life; he plays in a band, has many friends, enjoys the company of men and women, and has a loving family. This is all turned upside down when DNA testing reveals that he was stolen at birth. He and his biological parents (who have been searching for him for seventeen years) are reunited only to find that families are always complex and negotiating expectations and ideals is not easy. Winner of Berlin Film Festival Teddy Award – Manner Reader Jury Award. Co-presented with the Milwaukee LGBT Film/Video Festival. Lourdes, a 58-year old woman working near the U.S. Interests Section, coaches those who seek assistance in procuring a travel visa for the United States. She helps people craft their answers to interview questions and guides them through the ins and outs of the process. She herself is mid-process in trying to visit her mother, son, brothers and other family living in Florida. This documentary takes a look at the visa process for Lourdes and many others. Winner of International Documentary Film Festival Student Jury Award. Chile’s most influential poet and political figure, Nobel Prize-winning Pablo Neruda is sought by the state, and Prefect Oscar Peluchonneau is tasked with arresting him. 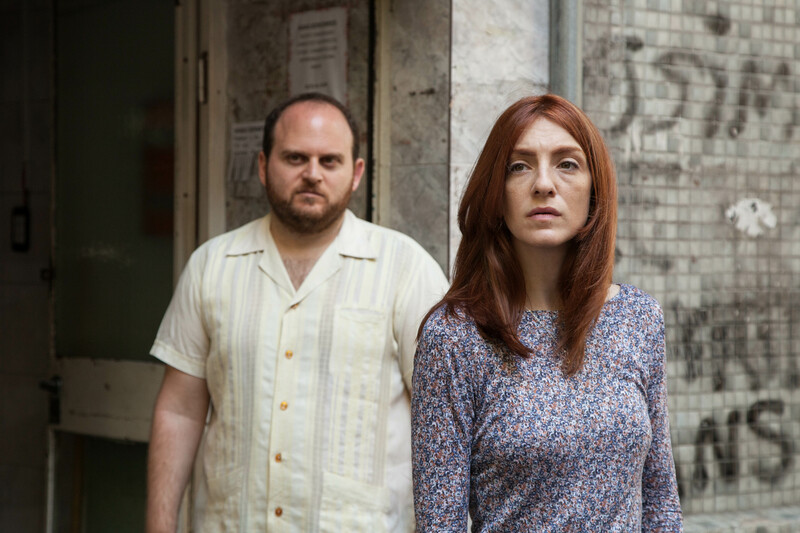 The two engage in a cat-and-mouse chase in this noir infused reimagining of Neruda’s experience in forced hiding and internal exile with his wife Delia del Carril. Chile’s official entry for the Academy Awards Best Foreign Language Film Category and Nominated for Golden Globes Best Foreign Language Film. The series is co-sponsored by Colectivo Coffee, UWM Union Sociocultural Programming, the Center for International Education, the Sam and Helen Stahl Center for Jewish Studies, the Milwaukee LGBT Film,/Video Festival, the Center for 21st Century Studies, the Roberto Hernández Center, the Honors College, Departments of Africology, Art History, Film Studies (English), French, Italian and Comparative Literature (FICL), History, MA in Language, Literature and Translation (MALLT), Political Science, Translation & Interpreting Studies, Spanish & Portuguese, Urban Studies, Women’s and Gender Studies, the Latin American and Caribbean Studies Certificate Program, and the major in Latin American, Caribbean, and U.S. Latin@ Studies (LACUSL). In collaboration with the Chicago Latino Film Festival. *LAFS 2017 includes five films funded in part by a Spanish Film Club Grant. The Spanish Film Club series was made possible with the support of Pragda, Spain arts & culture and the Secretary of State for Culture of Spain.